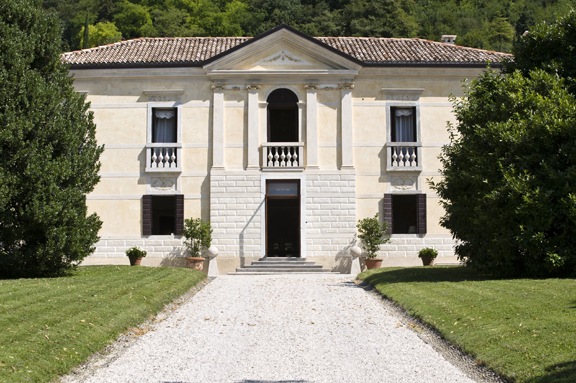 Above: The Franco family’s Villa Barberina in Valdobbiadene, a historic 18th-century villa in the heart of Prosecco country that the family has restored and converted into a bread & breakfast. The Nino Franco Electronic Media Kit was created by Terlato Wines International to provide a virtual resource for wine writers, bloggers, trade members, and consumers. It is intended to serve as a platform for information on Nino Franco wines, news and media coverage of the wines and the people who make them, and updates from the winery and winemaker. To contact Terlato Wines International in regard to Nino Franco or this site, please email the Terlato Wines International media division by clicking here.